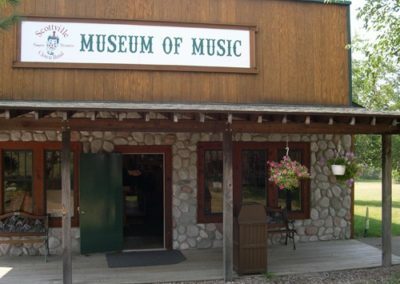 Underwritten by the Scottville Clown Band, this beautiful, large building displays the 100-year history of the famed band from Scottville, Michigan. A memorial area pays tribute to many musicians who have contributed to the success of the band over the years. 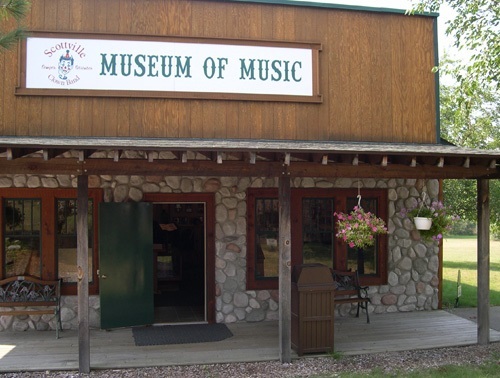 Besides the rich history of the band, the Museum of Music provides a perfect area for displaying the music and musical venues of all of Western Michigan. Musical instruments, uniforms, pictures, trophies and much more make up an outstanding display of memories and sounds of the past.